Blackberry hill(above) is fast emerging as my birding backyard! 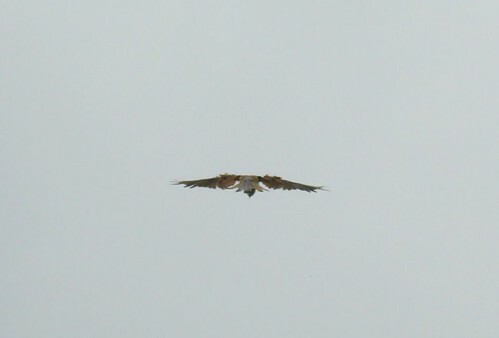 Every time I go there I`m sure to see at least a Kestrel or two or a Buzzard or both. 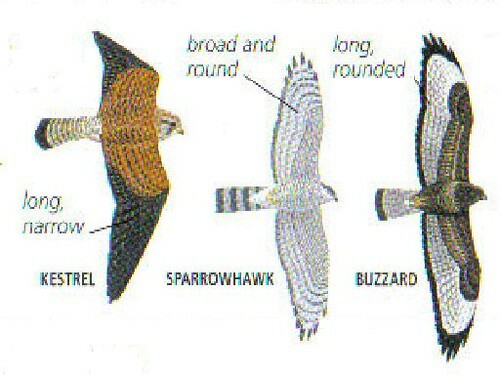 Kestrels can be distinguished from a Buzzard in that they are smaller, have more pointed wing tips and very typically hover while hunting for prey as seen in the pictures below. This hovering behaviour earns them the other name – Windhover. I was watching them from behind a few bushes while they seemed to be hunting for prey. 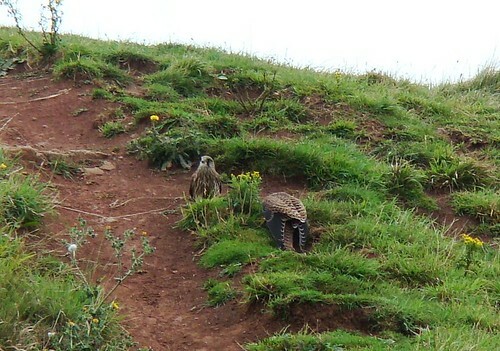 The prey of kestrels includes small mammals like voles and small birds. They are known to catch several per day and even store some for future use. Apart from hover hunting. 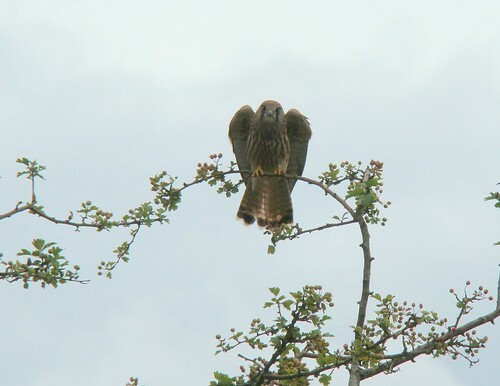 They sometimes also sit on trees and electric posts until they see a prey and then swiftly swoop down upon it. 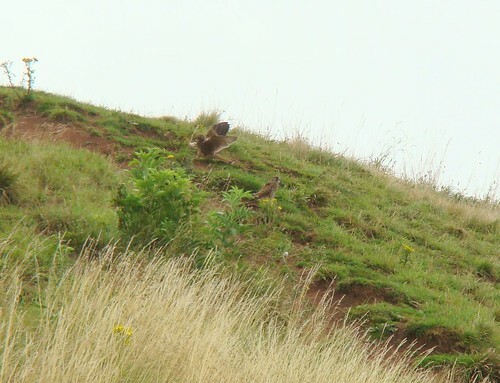 While I was standing behind the bushes, one of the kestrels startled me by swooping onto the highest point of the bush. I was too amazed to get my camera settings right but managed to take the picture below. 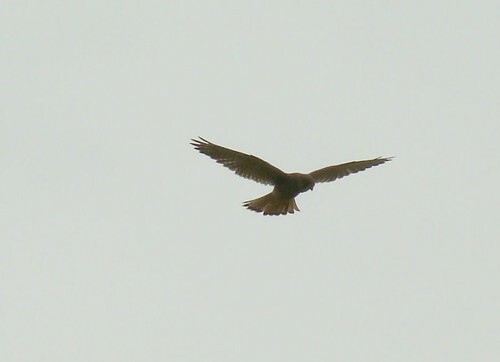 I guess even the kestrel was surprised because it immediately flew away. After a while I realised that the pair was probably a mother and it’s juvenile. 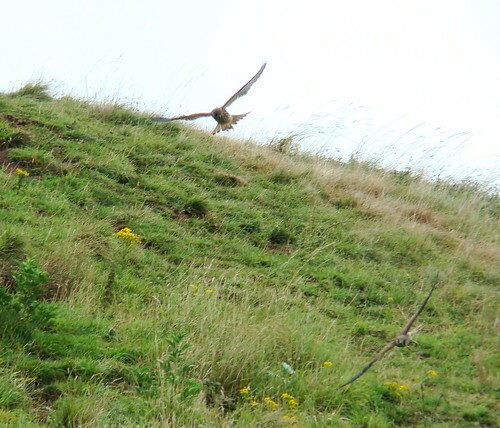 They descended upon the hillside and seemed to be indulging in some sort of play or training. I wasn’t sure if it was play or training. I witnessed one of them take a twig and fly into the air and then drop it . 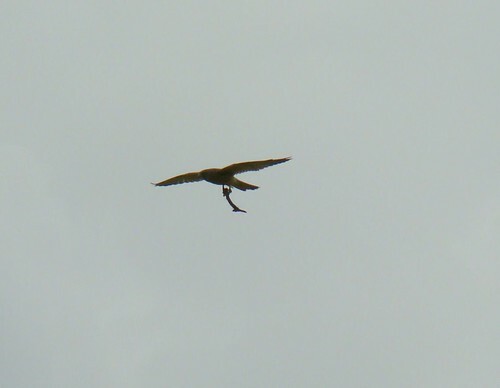 I expected it to retrieve it immediately but the bird didn’t seem intent on it, instead it flew over to the one on the ground as if exhorting it to claim the twig back. Pictures and video below. 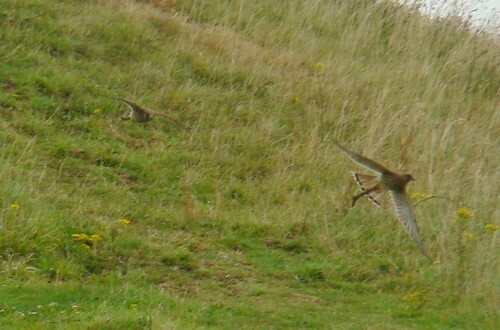 on returning, the two resumed their antics with the twig, often jumping, flying into the air and then returning to the hill side. From the pictures below it looks like one was actually playing, while under the supervision of the other. Finally, both of them took off into the air, and I decided it was time to leave. 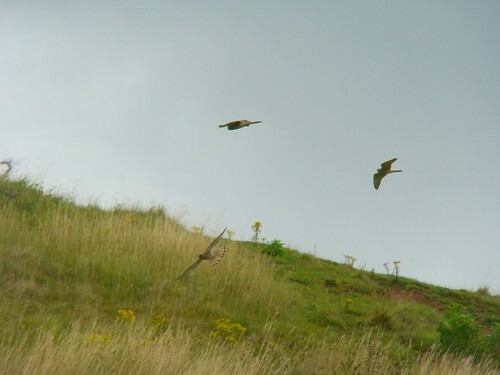 While leaving I witnessed another noisy chase involving all four birds, but they soon disappeared over the hill side. 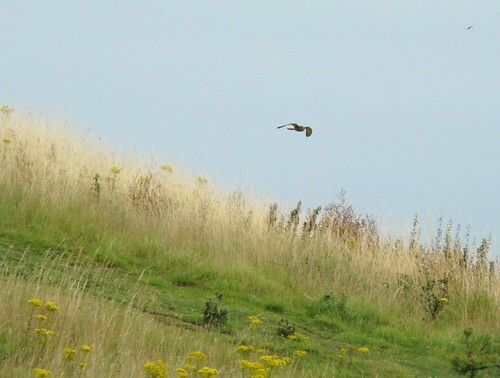 I`ll be returning soon to watch the kestrels in their play again, but for now I know that there are at least four kestrels on Blackberry hill.